Learning Spanish in Cuba is a great adventure. Spanish School Havana besides the Spanish lessons in Havana, has in its Spanish program different social activities aimed at the learning and recreation of our students, offering the students the opportunity to know and enjoy a unique lifestyle in all the world. 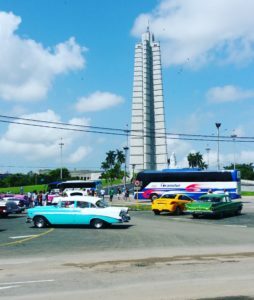 – Cuba Spanish Tour are excursions to different places of our country, interesting for their cultural, historical, natural or social values. We travel to other Cuban provinces and in this way the Spanish students in Cuba interact with the rural life of the country and, in addition, enjoy the beautiful Cuban countryside. 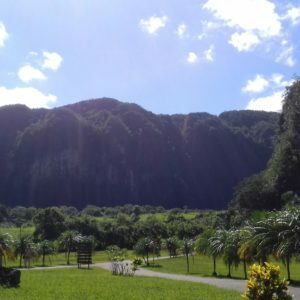 Cuba Spanish Tour has tours to places such as Las Terrazas, Valle de Viñales, Soroa, Stairs of Jaruco, El Nicho, Playa Girón, Matanzas, Santa Clara, Santiago de Cuba, El Nicho, Holguín, Camagüey, Baracoa, La Ciénaga de Zapata, Trinidad, Cienfuegos, Hanabanilla River. 120 minutes about Cuba are talks with the prestigious Dr. in Social Sciences Lilia on different aspects of Cuban life. The talks deal with different topics that address the social, historical and cultural life of Cuba. Conversations take place in a comfortable environment where you can exchange ideas and opinions with our friendly modulator. – Cuban dances classes. Through the dance classes in Cuba you will learn about Cuban life and culture. The dance is a distinctive feature of the Cuban. In the dance classes you will learn to listen and to dance rhythms that every Cuban carries in their veins, such as Salsa, Cha Cha Cha, Mambo, Son, Rumba. 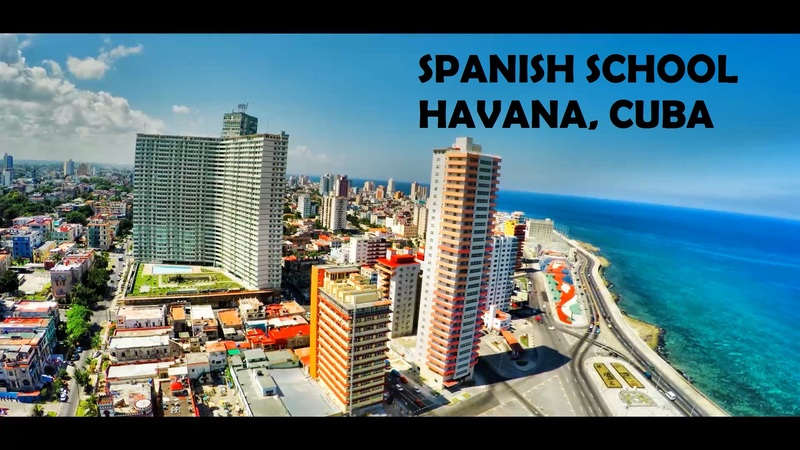 – Spanish Language Tour are Spanish courses in Cuba designed to learn Spanish in Havana, to have city tours (Havana) and excursions to other towns in Cuba such as Viñales, Cienfuegos or Trinidad. In these Spanish courses in Cuba, Spanish lessons in Havana open their borders and leave the classroom to the streets of Havana, where students practice their communication skills in a real environment. Cuba is an island with a warm tropical and humid climate, cooled by winds and sea breezes, which generally offer a good time for the dives. The system of tides and currents is slight on both coasts and the transparency of the waters is optimal, with an average visibility of 30 meters. More than 98% of the 3 200 km of the edge of the marine platform is surrounded by coral reefs where countless species of crustaceans and molluscs, fish, sponges and starfish, holothurians and sea urchins, and 5 species of turtles marinas or mammals such as the dolphin and the enigmatic manatee, sirénido in danger of extinction. All these conditions constitute a real privilege for lovers of scuba diving and recreational diving. 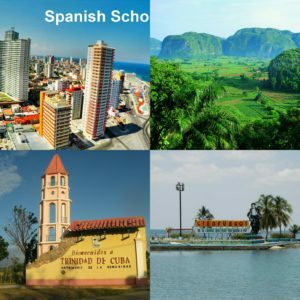 Posted in Allgemein and Tagged Booking, spanish courses in Cuba, Spanish Immersion Cuba, spanish language school in Cuba, spanish lesson in Cuba, spanish lesson in Havana.